The 2014 Reunion Contest is going to be held on Wednesday July 16th. There will be an anonymously donated prize of $100 for the winner of the contest. Additionally the winner of the contest will receive a year of advantage, while 2nd and 3rd place will receive 6 months of advantage. Please share this contest information with your PSC friends past and present. non-advantage member cannot upload yet . It only show error in red color, sir. Thanks! I'll put in a request to get it enabled. There will be a prize of $10 for the winner of the contest. NICE SOURCE. JR WILL BE DELIGHTED! It's red that says it all! 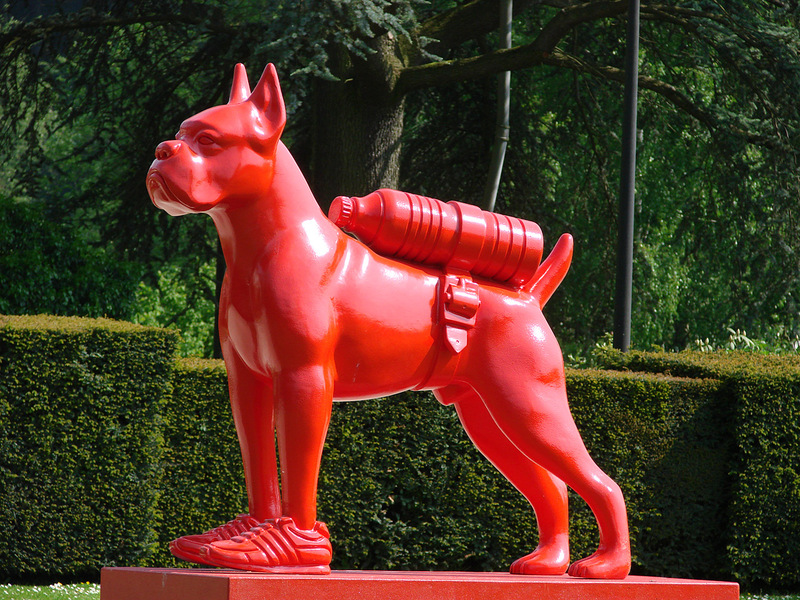 The dog statues by William Sweetlove, a Belgian artist! On Santa Monica Boulevard in West Hollywood! There is a problem with the entry pic. When you click on it to get the source it sends you to the upload link. How do you get the source? Click on the first link. He is trying to get the second for non advantage members fixed. Ready to upload...what's up? Where be my link...is it coming soon...? That source does not require any PSing. It is already perfect. Is he wearing the gummy shoe from last year's reunion?